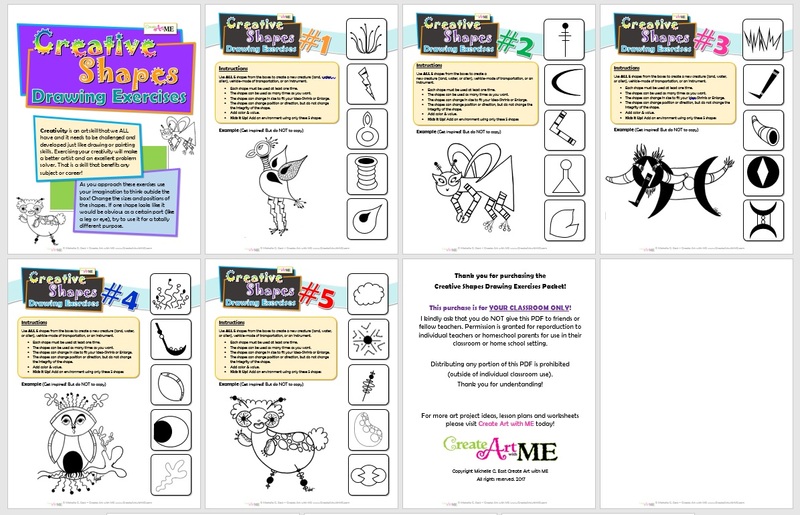 Volume 1 comes with 5 worksheets with 5 separate sets of shapes to create from! Use ALL 5 shapes from the boxes to create a new creature (land, water, or alien), vehicle-mode of transportation, or an instrument. • Each shape must be used at least one time. • The shapes can be used as many times as you want. • The shapes can change in size to fit your idea-Shrink or Enlarge. • The shapes can change position or direction, but do not change the integrity of the shape. • Add color & value. Creativity is an art skill that we ALL have and it needs to be challenged and developed just like drawing or painting skills. Exercising your creativity will make a better artist and an excellent problem solver. That is a skill that benefits any subject or career! These exercises are geared towards developing creativity and helping to think outside of the box! There are endless possibilities and combinations of shapes to imagine something new! • Shrink or Enlarge the size of the shapes to fit your idea. • Change position or direction of the shape, but do not change the integrity of the shape. These creativity exercises make excellent beginning & end of the year drawings, SUB art lessons, and drawing warm-ups during the year for elementary through High School Art!! All rights reserved. 2017 Distributing any portion of this PDF is prohibited (outside of individual classroom use). 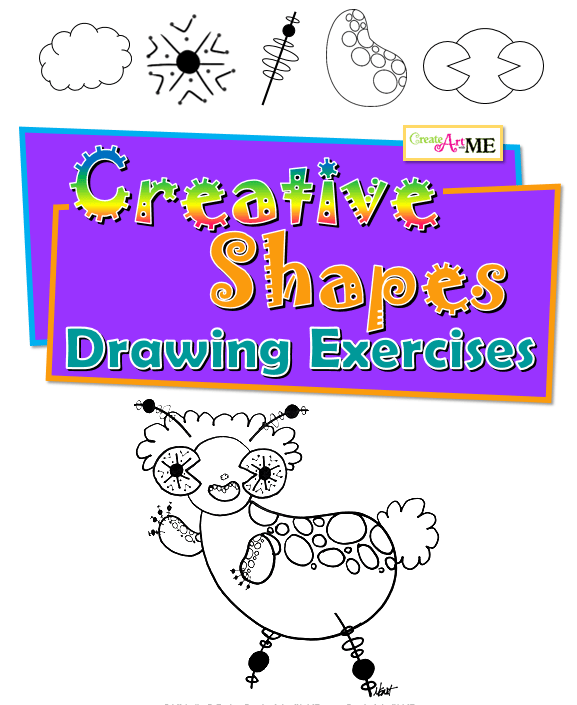 Creative Shapes Drawing Exercises Volume 2 now Available!